Nesta is an innovation charity on a mission to help people and organisations bring great ideas to life. Dedicated to supporting ideas that can help improve all our lives, with activities ranging from early stage investment to in-depth research and practical programmes. 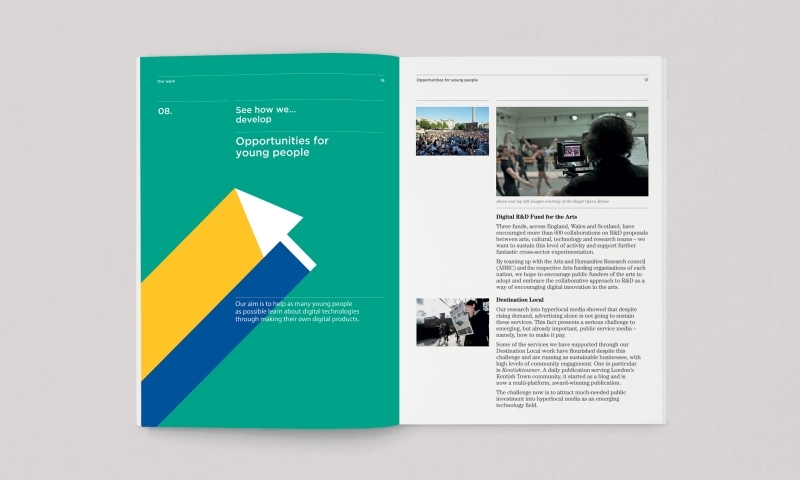 The theme of this year’s Annual Report is ‘Growth’ and our concept use a series of statements and bold, colourful graphics to communicate the continued development and reach of their funding and support.